A gay dad Trystan Reese who lives in Portland, Oregon, U.S., is pregnant and about to give birth after he suffered a heartbreak following a miscarriage at six weeks in 2016. Biff Chaplow and Trystan Reese are already adoptive parents to two young children Riley and Hailey but have spoken of their delight as they prepare to welcome their first biological child. They adopted children are Biff’s niece and nephew and the gay dads agreed to take them in after his sister suffered substance abuse problems in 2011. But the couple had always longed for a baby of their own. They had considered waiting up to a year before trying again after the 2016 miscarriage. But because of the medical complications of Trystan having to go off testosterone they decided to continue. The married couple have confirmed Trystan is due to give birth in the summer. In a post on their website, Trystan said that he felt some people are interested to know why he wanted to become pregnant as a transgender person, but were too afraid to ask. “For me, just transitioning normally – taking testosterone so that I have a beard and my voice is deep as its ever gonna get – and appear like a man… that’s enough for me. “I never felt like I needed to change my body. “I feel like my body is awesome, I feel like it’s a gift to have been born with the body that I did. Speaking to the the WNYC podcast, the Longest Shortest Time , Biff said both of them had been very “cautious” in the early stages of the pregnancy. According to Mirror, Trystan weighed himself “obsessively” and kept taking repeated pregnancy tests. Ahead of the six-week test, Trystan called the doctor to tell them he was a trans-dad and worried about what the experience would be like. He said: “I can feel someone looking at my face and searching for the remnants of womanhood,” Trystan told the podcast. But the pair said those fears were unfounded as they have had nothing but positivity from medics. They now know they will be expecting a little boy and are already joking that it’s “diagnosis male”. According to Mailonline, the 40-years-old Nigerian medical doctor accused of pestering his patient with love advances has been banned from practice in the UK for one year. 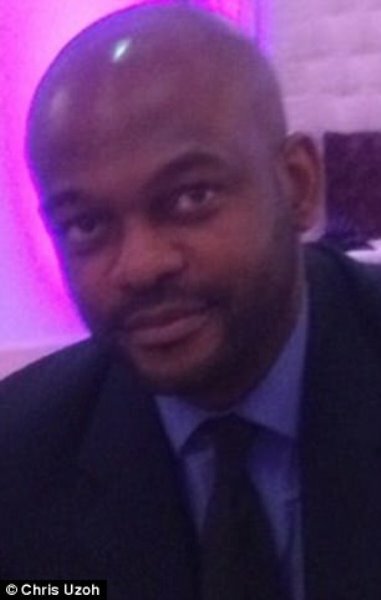 The Mailonline reports that Dr Chris Uzoh, the obsessive doctor had flooded a terrified patient with chat-up texts and tried to woo her with flowers. Dr Uzoh, from Cheshire, sent her text messages after getting her number from her medical records. The family doctor also bragged about being a ‘good-looking guy’ and spent six weeks pestering the woman to try and get a date and told her that he had ‘huge earning potential’. He also claimed to be ‘the best in his medical school’ as well as having written ‘several well cited scientific publications’. The General Practitioner from Great Sankey, near Warrington, Cheshire, also sent her 20 text messages. Within 30 minutes of the appointment finishing, he texted her saying: ‘Sorry for this text message but I saw you and liked you and thought we could go on a date on the future. ‘I am single and looking for a serious relationship and not intending to mess about,’ one of the messages said. He also left the patient a voice mail saying he wanted to ‘hear her voice before he went to work’. Later the woman received a card and flowers at her home along with a further message from Uzoh adding: ‘I wonder how else I would have met you if not this way. ‘How is it possible that a good looking guy who is a doctor, who has a job with huge earning potential, who was the best graduating doctor in his medical school, who started out as a urological surgeon with several well-cited scientific publications, who thinks you beautiful and special, who wants you – and you wouldn’t give him a chance? I’ve been in a Toronto and I couldn’t stop thinking about you,’ he said in another message. The patient eventually complained to Uzoh’s colleagues at the Murdishaw Health Centre in Runcorn and he was reported to the General Medical Council. The father of two has since quit the UK and is now working in Toronto, Canada. At the Medical Practitioners Tribunal Service in Manchester, Uzoh was suspended from practise in Britain for 12 months after he was found guilty of misconduct. The incidents began between March and May last year when the woman was booked in for an appointment with Uzoh after complaining of abdominal pain. ‘I was really shocked to get that initial message from him because I trusted him as a doctor. ‘If I got that message now there is no way I would respond. I was in a difficult position particularly at that point so seeing him taking an interest was a nice thing. ‘The next morning I woke up and there was a further text message and voicemail message. ‘I remember I was doing my make-up and getting ready for work and I saw that he was calling but I didn’t want to pick up. He left a message saying: ‘Hi, I just wanted to hear your voice before I start my day’. ‘Everyday I looked at my phone there was something from him whether it be a text message, missed call or a voicemail message. ‘As soon as I knew the flowers had been sent I knew that they would be from Dr Uzoh – there weren’t many people who knew my address at the time. “You’re being too full on – I’ve only met you once and I was your patient!’” she said. Tennis star and World No 287, Maxime Hamou has issued an apology for kissing a female reporter during a post-match interview at the French Open on Monday. Speaking to French newspaper l’Equipe, Hamou expressed remorse for the incident, saying he would like to apologize to Thomas in person. ‘I want to offer my deepest apologies to Maly Thomas if she felt hurt or shocked by my attitude during her interview. ‘I just lived a wonderful week here in Roland Garros living my most beautiful emotions as a tennis player, and I let my overflow of enthusiasm express myself awkwardly towards Maly, who I know and sincerely respect. Nothing of all that is written was my intention. Eurosport’s tennis correspondent Henri Leconte also apologized for applauding Maxime Hamou unwanted advances towards Maly Thomas when it was shown on Eurosport show ‘Avantage Leconte’. I wanted to go back to the incident last night concerning the duplex with our reporter Maly Thomas and the player Maxime Hamou.I want to make it clear that we do not endorse this type of behavior. Maly is a great professional who deserves an apology,” said the former grand slam winner. ‘Our live response was also not appropriate, we should have intervened quickly. We apologise to our viewers,’ he added. Activities of Indigenous People of Biafra (IPOB) have pitted the group’s leader, Mr. Nnamdi Kanu, against the South East Peoples Assembly (SEPA). For organising a sit-at -home after he obtained a court bail, SEPA has asked the Federal High Court, Abuja, to revoke the bail granted Kanu, a pro-secession leader. IPOB in collaboration with other groups, on Tuesday organised a successful sit-at-home in South East, an action SEPA regards as a breach of the bail conditions granted Kanu. Kanu, leader of IPOB, has been facing trial for treason and terrorism, being a major sponsor for the secession of South East from Nigeria on the platform of IPOB. He was arrested on October 15, 2015 in Lagos and eventually granted bail in May this year with some conditions. The Federal High Court, Abuja, admitted him to bail on health grounds. Justice Binta Nyako said that she was convinced that Kanu was ill and needed more medical attention than the Nigerian Prisons was giving him. She, however, ordered that while on bail, Kanu must not hold any rallies, grant any interviews or be in a crowd of more than 10 people. Nyako gave other bail conditions to include three sureties in the sum of N100 million each. The judge further ordered that Kanu must deposit both his Nigerian and British passports with the court and that a report on the progress of his health must be made available to her on a monthly basis. She adjourned the matter till July 11 and 12, for definite commencement of trial. However, SEPA has accused Kanu of infringing on the bail conditions. 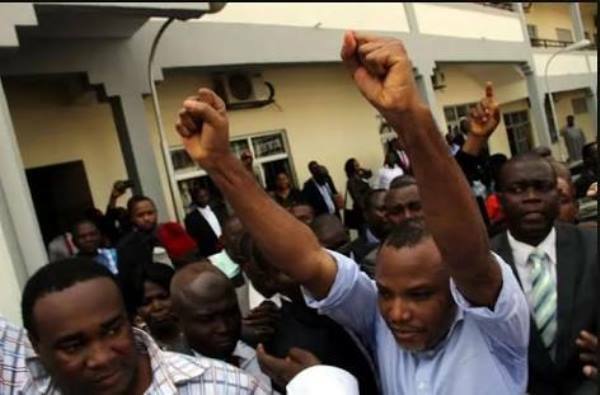 In a letter to the Chief Judge of the High Court, Justice Ibrahim Auta, the President of SEPA, Prince Chukwuemeka Okoriein, as the court, as a matter of urgency, to revoke Kanu’s bail. He said that Kanu has continued to conduct himself in a manner that was totally at variance with terms and conditions of his bail. He listed the infractions to include holding rallies, grant of interviews or be in a crowd of more than 10 people. “Obviously, the recklessness with which he made media statements and even organised the ‘Sit at Home and Stay Indoor’ protest to mark the so called BIAFRA HEROS DAY on Tuesday, 30th May, 2017 is a threat to the unity, security and peace of Nigeria as a sovereign nation. “We have no iota of doubt that he is trying to push our dear country Nigeria into an unnecessary precarious situation for his personal agenda and those of his paymasters. “Sir, our decision to write this demand letter to your good office at this time is to forestall another civil unrest in Nigeria, particularly around the Igbo speaking region. “As you well know, the struggle by Kanu to be relevant under the guise of actualisation of Biafra does not enjoy the support of right thinking Igbo people both at home and in diaspora. “That he suddenly addresses himself as the Supreme Leader of Biafra points to how arrogant and disrespectful he is to legitimately constituted authority in the Federal Republic of Nigeria. “The pertinent question on our minds as stakeholders is: Has Kanu been consistent in providing the court with reports on the progress of his health and treatment on a monthly basis since he was granted bail? “History has taught us that the Civil War of 1967-1970 started gradually and later turned out to be something that caused our people unimaginable losses. A teenage girl, 16, stole a knife and a machete from a Walmart then stabbed her Uber to death, police said. 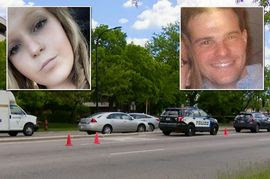 The horrific attack carried out by Eliza Wasni was completely unprovoked, prosecutors in Chicago said. 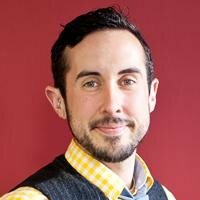 The victim Grant Nelson, 34, managed to pull over and flee his Uber car for help. “The victim runs to the lobby door and is heard banging and screaming, ‘Help me, help me, I’m going to die,'” said Assistant State’s Attorney Michelle Cunningham. Police and paramedics were called and Mr Nelson was rushed to hospital but later died. Wasni, who has been charged with first-degree murder as an adult, tried to driver Mr Nelson’s car away from the scene but hit a bollard. Officers responding to 911 calls found her hiding, still holding a knife and a machete. Mr Nelson’s younger sister Alexandra told of her family’s shock and grief. “The loss of intelligence and conversation and nuance and thoughtfulness that he brought into all of our lives is going to be felt, and it will reverberate with us throughout the coming weeks and months and years, and it is not a hole that can be easily filled,” she told ABC 7 Chicago. Two women poured paint down their former friend’s throat and stabbed her with a fork in a “long and sustained” torture ordeal. 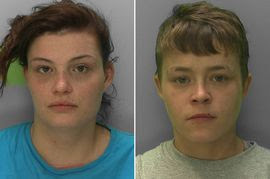 Layla Warburton, 25, and Sharna Christie, 26, also kicked and punched the victim, smashed a TV over her head and strangled her with a cord. She was jailed for six years. Christie admitted the same offence and also pleaded guilty to unrelated offences of assaulting a man causing actual bodily harm and robbing a woman of cigarettes.She was jailed for four years and eight months. At the time of the brutal attack last November Warburton, had been out of prison only a month after serving a four year sentence for another assault. Prosecutor Julian Kesner told the court said Ms Wijnaendts was in her own flat in Gloucester when the defendants, who both knew her, paid a visit. “An argument broke out and the two defendants attacked her and she was kicked and punched by them,” he said. “Her evidence to the court was that the two of them were like peas in a pod and it was very much a joint enterprise by them.”It was a long and sustained attack that took place. “It started with punches and kicks followed by paint being poured into Ms Wijnaendts’ mouth. The prosecutor showed the judge a picture of Ms Wijnaendts’ badly injured face with four prong marks above her right eye, her left eye badly bruised and closed, and cord marks around her neck. Despite the similarities in name, the tablet doesn’t have much in common with Apple’s well-known gadget . According to an advertising campaign spotted in a foreign trade magazine, the North Korean iPad only has 40 apps to choose from and 8GB of internal storage space. However, it will allow users to look at documents and “read different sources of digital information” as well as coming with a keyboard attachment. 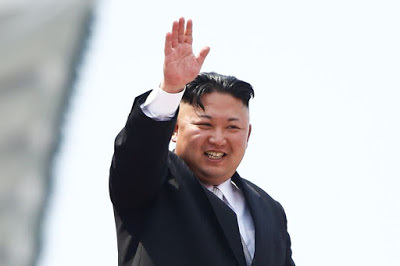 According to the advertising campaign, the tablet was first revealed at a North Korean expo in 2016 and has become massively popular among North Koreans. It’s unlikely the company behind the tablet, Myohyang IT, will be attempting to market the Ryonghung iPad outside of North Korea.